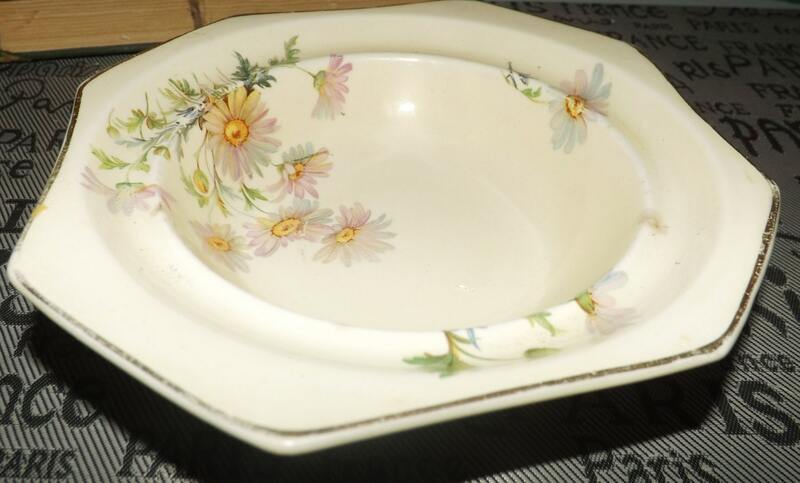 Quite vintage (1932) AJ Wilkinson | Royal Staffordshire Old Marguerite pattern butter dish (no lid). Flawed (see notes). 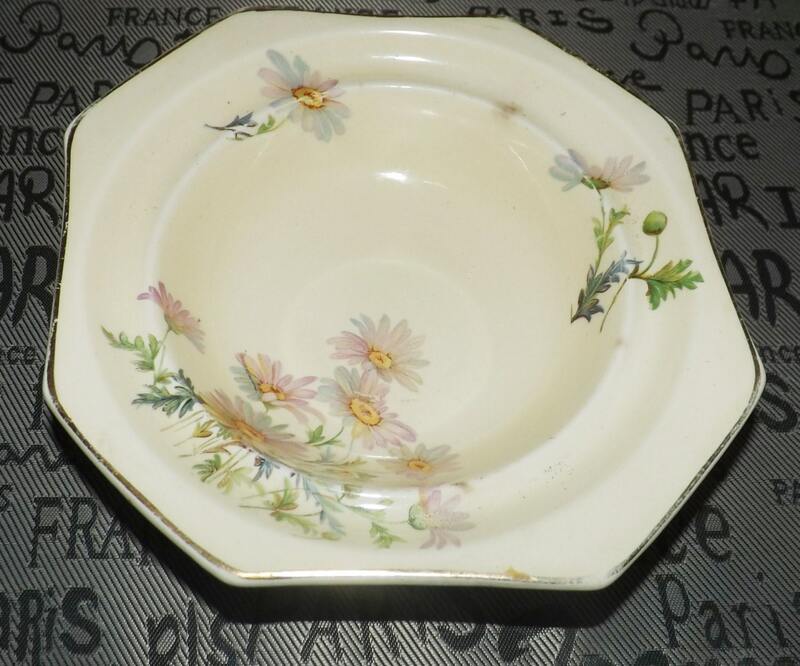 Quite vintage (1932) AJ Wilkinson | Royal Staffordshire Old Marguerite pattern ironstone butter dish (no lid) with an octagonal shape and an inset rim for placement of a lid. This butter dish is now, most unfortunately, missing its lid. Features pink daisies and green foliage set against a cream-colored ground with a gold edge. This butter dish is in GOOD! vintage condition, but does have some issues, beyond the missing lid. Please read on. 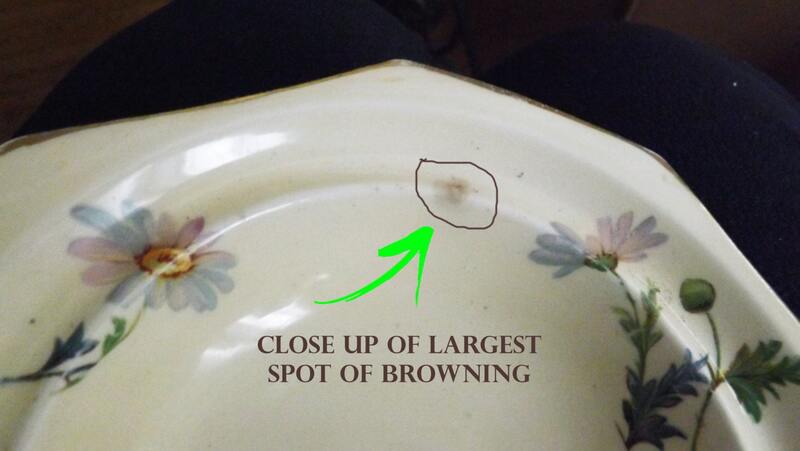 Most notably, there are a few spots of browning, predominantly in the top-left corner of the bowl and a WEE INDEED! 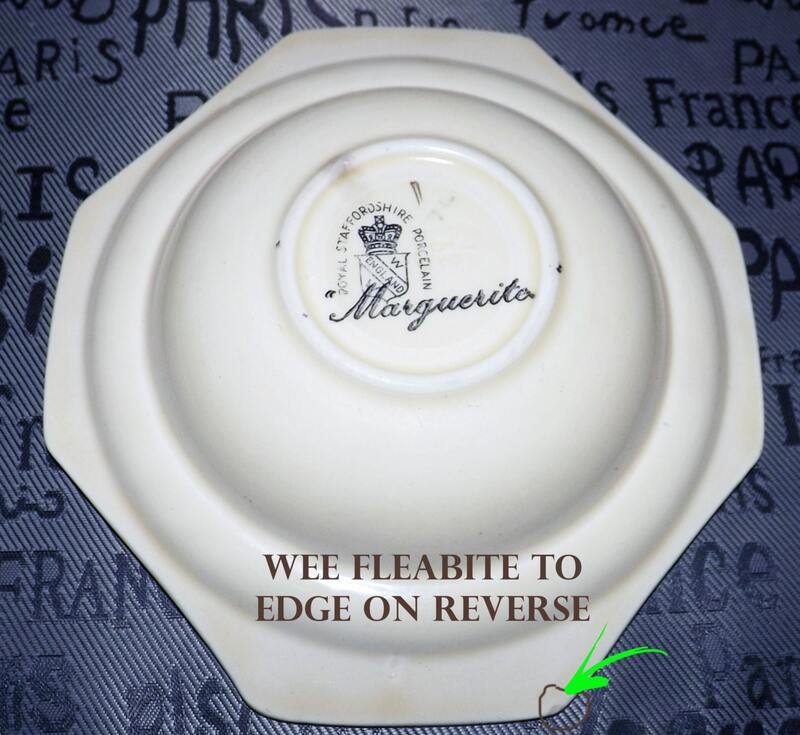 fleabite to the REVERSE of the dish (please refer to photos). Otherwise, there are NO! other chips, nicks or fleabites, NO! cracks and NO! other marks, stains, or scratches. The dish presents with VERY MINIMAL! loss to the gold edge, again considering the piece is from the early 1930s. The pink daisies and green foliage are quite bright and vibrant, although some MINOR! fading has occurred and there is considerable, yet age-appropriate, crazing that has occurred. 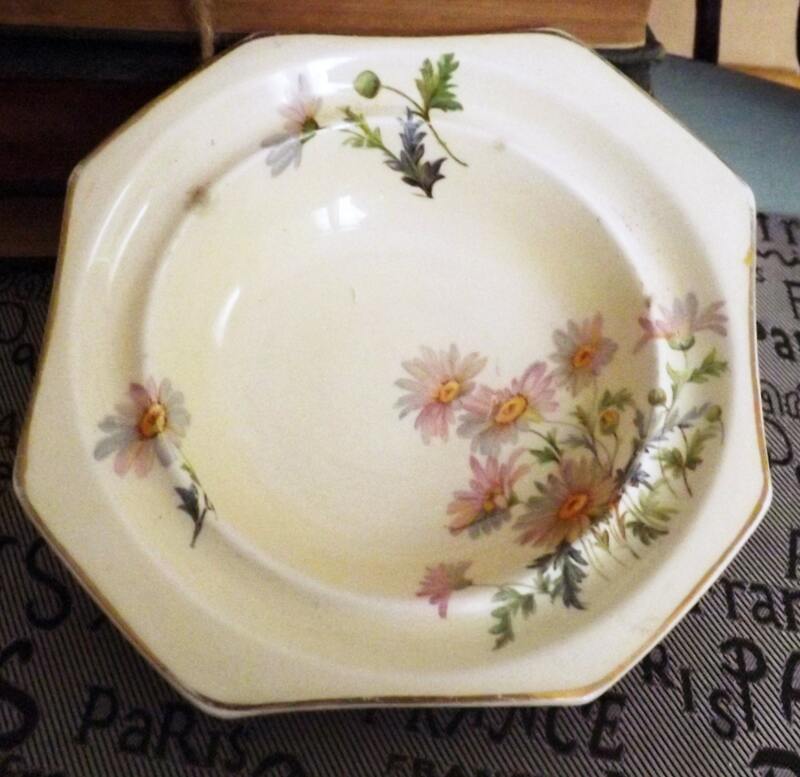 For many, this crazing will add to the overall vintage appeal of the item. Impressed 32 to base denoting year of manufacture. Approximate measurements: 6-1/2" wide with an octagonal shape.